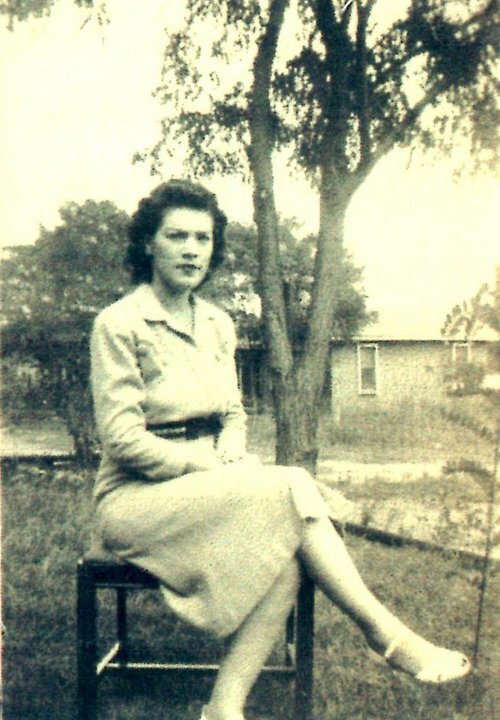 On this date the 30th of June in 1920, our paternal grandmother Ida Mae Burris was born in Drumright, Oklahoma to parents Asa Burris and Rosa Pearl Raabe. She was named Ida May Burris on her birth certificate, after her Grandma Raabe. Mae, as she was called, was the oldest of her parents’ eleven children. I’ve heard stories that when our Papaw Adams watched her walk up the big hill in Drumright, he knew she was the one for him…(wink). Mae was married a couple of times before settling down with our Papaw Adams in 1947. She secretly married her beau Neil, and they hid under their house until their parents found them and had it annulled. She and Clyde “Ray” Townsend filed for a marriage license* on April 4, 1941, but were divorced sometime before she married Floyd Brazier Adams. Floyd and Mae had seven children including our dad Floyd Dee. Happy Birthday Grandma! Wish I could share a box of Little Debbies with you.